It’s springtime again, folks! I don’t know about you, but I’m getting the home improvement itch! When I’m working on a project, I love using tools that have multiple capabilities through different configurations and attachments. You get a lot more bang for your buck, the different tool capabilities complement and enhance each other, and you only have to haul one box out of the shed! 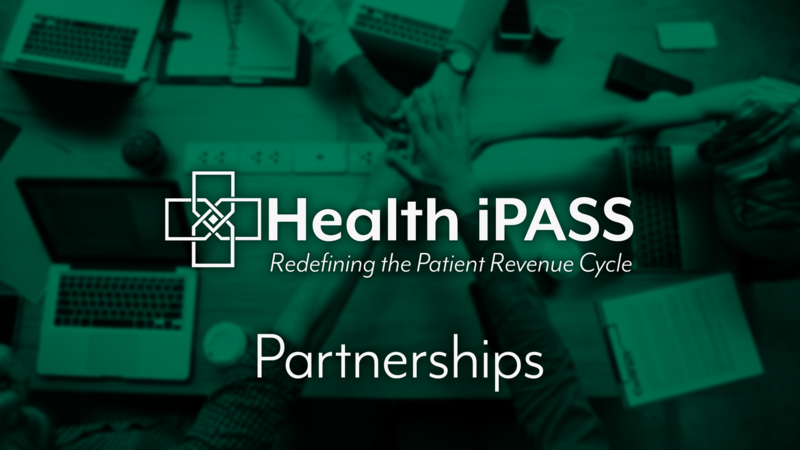 At Health iPASS, we love our channel partners because they allow our platform and theirs to do just that—increase the functionality of each organization’s technology and strategically leverage each other’s networks to increase our market reach. This week is yet another opportunity to hear Rajesh and learn from his great insights on the future of the patient revenue cycle in healthcare. Tomorrow, January 22nd from 12-1 pm central time, Rajesh will be participating in the Association of Dermatology Administrators and Managers (ADAM) webinar entitled “ Preparing for 2019 and Beyond: Revenue Cycle Regulatory Legislation on the Horizon” will outline and discuss pending legislative framework changes on the horizon that could negatively affect revenue cycles and how providers can manage these changes and abandon the status quo. 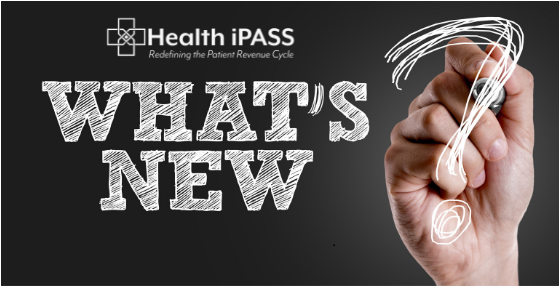 Heath iPASS CEO Rajesh Voddiraju consistently offers fresh insights about the future of the patient revenue cycle and the most practical and economical ways to improve patient payments in healthcare. 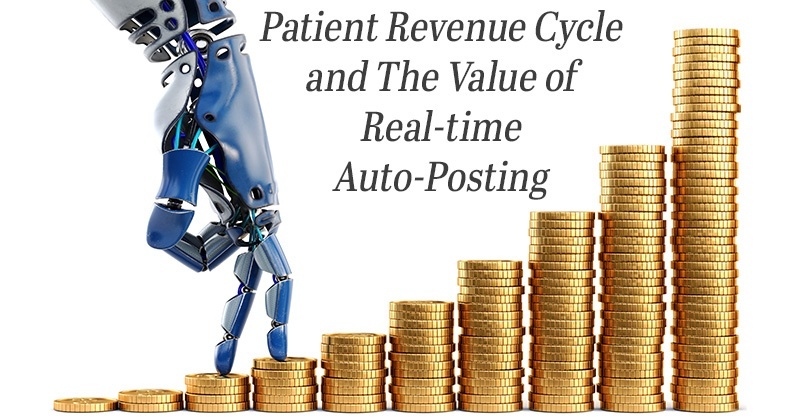 When our team members need to know about the latest trends in medical practice revenue cycle management, he is always somebody that we can learn from. Back on December 31st, Rajesh was a guest on the eHealth radio podcast, " Tackling the New Dynamics of Patient Revenue Cycle Management in the Era of Healthcare Consumerism with Eric Michaels. On the podcast, Rajesh touched on several topics related to the reality and after effects of patients now being the primary payer in revenue cycle management. Rajesh started the interview by discussing the fast rise of patient as the primary payer of healthcare expenses due to the sharp increase in high deductible health plans (HDHPs), and the fact that practices need to find a way to adjust accordingly. There are several different payment methods to ensure that practices are optimizing patient payments. One that Rajesh mentioned, and Health iPASS uses, is allowing patients to keep a credit card on file (CCOF) to pay for any residual balances that may be owed post insurance claim adjudication. Not only does the CCOF help patients manage healthcare expenses, it can also significantly improve medical practice cash flow by quickly reducing days in accounts receivable (A/R). With the rise of HDHPs, patients are responsible for more of their medical bill. As a result, price transparency is becoming increasingly important in the revenue cycle. Rajesh also discussed how as a result of higher out-of-pocket (OOP) costs, trust between provider and patient is more important now than ever. Patients are also looking for greater price transparency and a breakdown of what they may owe for specific procedures once their insurance process the claim. That's why offering cost estimates pre-arrival, at point-of-service, at claim submission, and pre-surgery is critical to establish price transparency that builds patient trust and patient retention. Additionally, Rajesh also talked about about the Health iPASS patient revenue cycle solution. 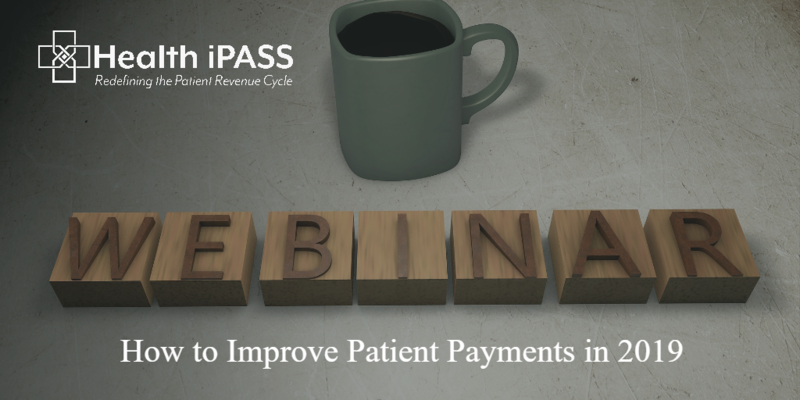 Practices using the Health iPASS revenue cycle solution are recognizing 97% collection of residual balances when patients check in using the Health iPASS kiosk and place a CCOF. He mentioned how Health iPASS is taking advantage of the new technology to improve the revenue cycle for medical practices. Lastly, Rajesh discussed the future of healthcare. 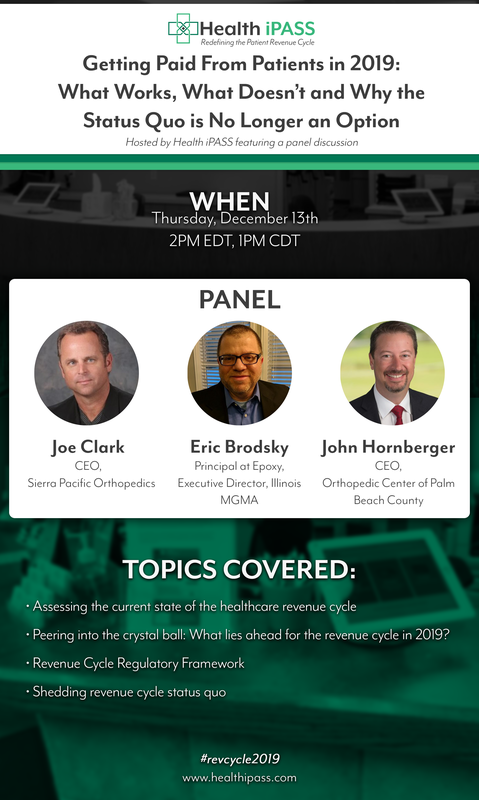 He has mentioned many times that automation and technology are at the forefront of the future for the patient revenue cycle in healthcare. 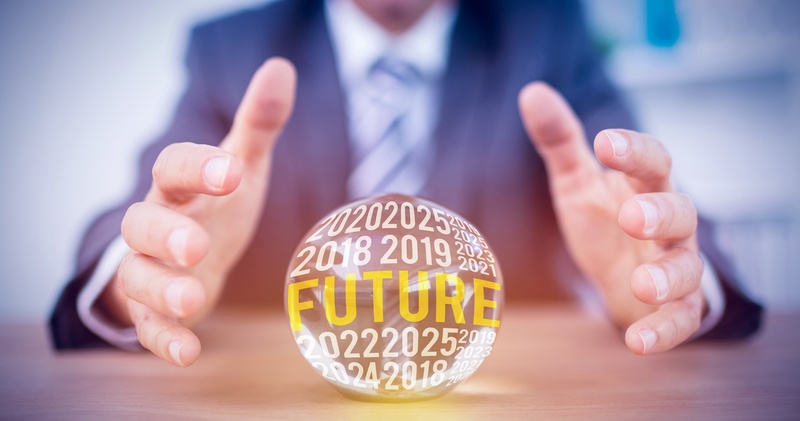 In one of our recent blog posts, he reiterated that the use of artificial intelligence (AI) and robotic process automation (RPA) to streamline back-end practice tasks such as insurance eligibility and patient demographic checks, patient payment posting, and appointment reminders, will become increasingly common. Health iPASS is proud to announce that we have recently topped off our $7.2 million dollar Series A funding with an additional $3.0 million from QED Investors – the financial technology-focused venture capital fund led by Nigel Morris, co-founder of CapitalOne. 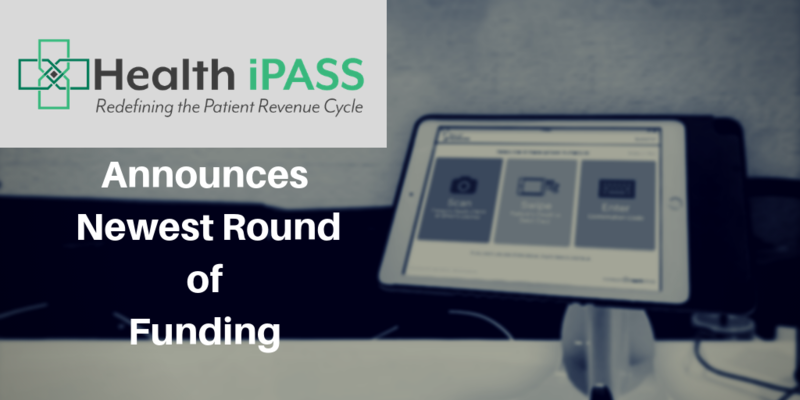 This investment from QED Investors will allow Health iPASS to further our mission as we help medical practices optimize their patient revenue cycle and improve the patient experience from appointment to payment.